Abbott's community is pure Americana, a wild world inhabited by gloriously street-smart smartasses: overeducated, underemployed men mourning for the confident women who have left them—or have they?—but knowing that equally confident women are just around the corner—or are they? His urgent, maximalist style allows their exhilarating voices to be heard and remembered. The Men in My Country is the story of an American woman living and loving in Japan. Satisfied at first to observe her exotic surroundings, the woman falls in love with the place, with the light, with the curve of a river, with the smell of bonfires during obon, with blue and white porcelain dishes, with pencil boxes, and with small origami birds. Later, struggling for a deeper connection—“I wanted the country under my skin”—Abildskov meets the three men who will be part of her transformation and the one man with whom she will fall deeply in love. A travel memoir offering an artful depiction of a very real place, The Men in My Country also covers the terrain of a complex emotional journey, tracing a geography of the heart, showing how we move to be moved, how in losing ourselves in a foreign place we can become dangerously—and gloriously—undone. As the good little girl in an unhappy family who hid her darker troubles, Deb Abramson felt like she was living with another girl, a shadowy being who would neither leave nor make herself known. Crushed beneath the burden of her parents‘ rigid expectations yet driven to satisfy their needs, Abramson becomes bulimic, then severely depressed and suicidal, retreating more and more from the troubling outside world to the seeming haven of home, to a cycle of comfort from and competition with her depressed mother, to the frightening but alluring intimacy of her father's affections. Her struggle to extricate herself from the “impermeable, immutable knot” of her family forms the heart of her dazzling book. In this psychological portrait of a family bound together by the uneasy permutations of love, Abramson relies not on sensationalist narrative but on a collection of the many small moments that glitter along the bumpy path of her life. Now and then she provides a broader, connecting perspective by stepping out of her story to reflect on the meaning of it all from the standpoint of the insightful, healed person she has managed—against all odds—to become. All previous books dealing with prehistoric hunter-gatherers in the high Andes have treated ancient mountain populations from a troglodyte's perspective, as if they were little different from lowlanders who happened to occupy jagged terrain. Early mountain populations have been transformed into generic foragers because the basic nature of high-altitude stress and biological adaptation has not been addressed. 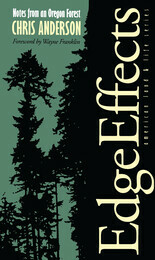 In Montane Foragers, Mark Aldenderfer builds a unique and penetrating model of montane foraging that justly shatters this traditional approach to ancient mountain populations. Aldenderfer's investigation forms a methodological and theoretical tour de force that elucidates elevational stress—what it takes for humans to adjust and survive at high altitudes. In a masterful integration of mountain biology and ecology, he emphasizes the nature of hunter-gatherer adaptations to high-mountain environments. He carefully documents the cultural history of Asana, the first stratified, open-air site discovered in the highlands of the south-central Andes. 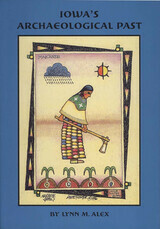 He establishes a number of major occurrences at this revolutionary site, including the origins of plant and animal domestication and transitions to food production, the growth and packing of forager populations, and the advent of some form of complexity and social hierarchy. The rich and diversified archaeological record recovered at Asana—which spans from 10,000 to 3,500 years ago—includes the earliest houses as well as public and ceremonial buildings in the central cordillera. Built, used, and abandoned over many millennia, the Asana structures completely transform our understanding of the antiquity and development of native American architecture. 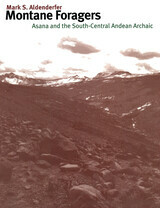 Aldenderfer's detailed archaeological case study of high-elevation foraging adaptation, his description of this extreme environment as a viable human habitat, and his theoretical model of montane foraging create a new understanding of the lifeways of foraging peoples worldwide. Iowa has more than eighteen thousand archaeological sites, and research in the past few decades has transformed our knowledge of the state's human past. Drawing on the discoveries of many avocational and professional scientists, Lynn Alex describes Iowa's unique archaeological record as well as the challenges faced by today's researchers, armed with innovative techniques for the discovery and recovery of archaeological remains and increasingly refined frameworks for interpretation. The core of this book—which includes many historic photographs and maps as well as numerous new maps and drawings and a generous selection of color photos—explores in detail what archaeologists have learned from studying the state's material remains and their contexts. Examining the projectile points, potsherds, and patterns that make up the archaeological record, Alex describes the nature of the earliest settlements in Iowa, the development of farming cultures, the role of the environment and environmental change, geomorphology and the burial of sites, interaction among native societies, tribal affiliation of early historic groups, and the arrival and impact of Euro-Americans. In a final chapter, she examines the question of stewardship and the protection of Iowa's many archaeological resources. 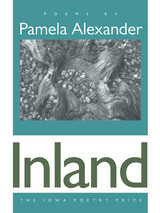 Pamela Alexander's poetry is characterized by inventive language, scrupulous accuracy of imagery, and a winning fusion of the comic and the deeply serious. Her subjects vary as widely as her settings, which range from the New Hampshire woods to the Arizona desert. A family life eccentric to the point of chaos, close observations of wildlife, and coastal sailing are among the poet's topics. James Merrill, praising Alexander's first book, called it “a wonderful achievement. Her language is now simple, now playful, now extremely poignant.” This is an apt description of Inland as well, a book that shows Alexander in witty yet serious engagement with the world. The longest poem here, “Swallowing the Anchor” (the title is the sailors' term for giving up the sea), is also the most directly personal. It closes the section of the book in which the poet comes to terms with losses, including the death of the loved one. She does this with grace—and her wit is not jokes, her poignancy is not sentimentality. Think of Nelson Algren, and many images come to mind—Chicago's unappreciated genius, champion of the poor and disenfranchised, lover of Simone de Beauvoir, author ofThe Man with the Golden Arm and A Walk on the Wild Side—but the author of a cookbook? Here it is: the never-before-published America Eats, a delightful, thoroughly entertaining look at who we are and what we love to eat. The origins of America Eats are as fascinating as the book itself. In the late 1930s Nelson Algren joined such writers as Saul Bellow, Richard Wright, Margaret Alexander, and Arna Bontemps in the employ of the Illinois Writers Project, a branch of the federal Works Progress Administration. Algren's assignment: to collect information for the national "America Eats" program, a pioneering enterprise whose members hoped to produce a series of regional guides describing types of immigration, settlement, and customs as these factors related to the universal language of food. Algren completed his project, a look at the foodways of the Midwest, but by the early 1940s the fruits of "America Eats" had been filed away as the government mobilized for war. Now at long last Algren's America Eats is published as one of the inaugural volumes in the Iowa Szathmáry Culinary Arts Series. This cookbook, part anecdotal history, part culinary commentary, is an engaging romp through the attitudes and activities surrounding food in the Midwest. An enticing and useful feature of the book is an all-new recipe section tested in the kitchens of the Culinary Arts Division of Johnson &Wales University under the watchful eye of Chef Laureate Louis Szathmáry. Those same interviewing skills that led to Algren's successful depiction of Chicago's inner-city residents served him well as he spoke with a variety of cooks, casual and accomplished, and gathered all kinds of recipes, tried and traditional. Algren recorded it all in his inimitable style, and modern readers are richer for his efforts. From descriptions of the rituals at an Indiana family reunion ("When a slacking off in the first rush of eating is indicated by the gradual resumption of conversation, the servers start a second attack, urging everyone to have another helping of everything") to the holiday specialty on a Minnesota immigrant's table, lutefisk ("Any newcomer present will be assured, 'You won't like it, nobody likes lutefisk at first'"), America Eats offers all readers a true feast. Celebrating the various ethnic traditions that melded to create what we now call American literature, Whitman did his best to encourage an international reaction to his work. But even he would have been startled by the multitude of ways in which his call has been answered. By tracking this wholehearted international response and reconceptualizing American literature, Walt Whitman and the World demonstrates how various cultures have appropriated an American writer who ceases to sound quite so narrowly American when he is read into other cultures' traditions. 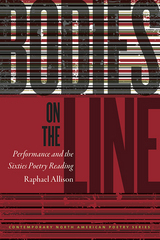 Bodies on the Line offers the first sustained study of the poetry reading in its most formative period: the 1960s. Raphael Allison closely examines a vast archive of audio recordings of several key postwar American poets to explore the social and literary context of the sixties poetry reading, which is characterized by contrasting differing styles of performance: the humanist style and the skeptical strain. The humanist style, made mainstream by the Beats and their imitators, is characterized by faith in the power of presence, emotional communion, and affect. The skeptical strain emphasizes openness of interpretation and multivalent meaning, a lack of stability or consistency, and ironic detachment. By comparing these two dominant styles of reading, Allison argues that attention to sixties poetry readings reveals poets struggling between the kind of immediacy and presence that readings suggested and a private retreat from such performance-based publicity, one centered on the text itself. Recordings of Robert Frost, Charles Olson, Gwendolyn Brooks, Larry Eigner, and William Carlos Williams—all of whom emphasized voice, breath, and spoken language and who were inveterate professional readers in the sixties—expose this struggle in often surprising ways. In deconstructing assertions about the role and importance of the poetry reading during this period, Allison reveals just how dramatic, political, and contentious poetry readings could be. By discussing how to "hear" as well as "read" poetry, Bodies on the Line offers startling new vantage points from which to understand American poetry since the 1960s as both performance and text. A vivid archive of memories, Beth Alvarado’s Anthropologies layers scenes, portraits, dreams, and narratives in a dynamic cross-cultural mosaic. Bringing her lyrical tenor to bear on stories as diverse as harboring teen runaways, gunfights with federales, and improbable love, Alvarado unveils the ways in which seemingly separate moments coalesce to forge a communal truth. Woven from the threads of distinct family histories and ethnic identities, Anthropologies creates a heightened understanding of how individual experiences are part of a larger shared fabric of lives. Like the opening of a series of doors, each turn of the page reveals some new reality and the memories that emerge from it. Open one door and you are transported to a modest Colorado town in 1966, appraising animal tracks edged into a crust of snow while listening to stories of Saipan. Open another and you are lounging in a lush Michoacán hacienda, or in another, the year is 1927 and you are standing on a porch in Tucson, watching La Llorona turn a corner. With vivid imagery and a poetic sensibility, Anthropologies reenacts the process of remembering and so evokes a compelling narrative. Each snapshot provides a glimpse into the past, illuminating the ways in which memory and history are intertwined. Whether the experience is of her own drug use or that of a great-great-grandmother’s trek across the Great Plains with Brigham Young, Alvarado’s insight into the binding nature of memory illuminates a new way of understanding our place within families, generations, and cultures. Drawing equally from Wallace Stevens, Gertrude Stein, John Berryman, and Robert Frost, Samuel Amadon’s award-winning Like a Sea is a collection of poems where personality is foregrounded and speech is both bizarre and familiar. Central to this weirdly talky work is “Each H,” a sequence of eleven monologues and dialogues wherein an unknown number of speakers examine their collective and singular identities while simultaneously distorting them. 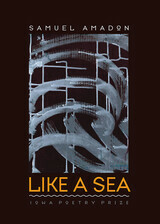 From a sequence of pared-down sonnets to a more traditional lyric to a procedural collage inspired by J. D. Salinger, Ezra Pound, Robert Lowell, Walter Benjamin, Jane Kenyon, Joris-Karl Huysmans, Primo Levi, Eugenio Montale, and Edwin Arlington Robinson, Like a Sea is a book of significant variation and originality. Amadon’s electric collection begins with the line “I could not sound like anyone but me,” and through a wide range of forms and styles and voices he tests the true limits of that statement. The image of a half-abandoned Hartford, Connecticut, remains in the background of these poems, casting a tone of brokenness and haplessness. Ultimately Amadon’s poems present the confusion and fear of the current moment, of Stevens’s “river that flows nowhere, like a sea,” equally alongside its joyful ridiculousness and possibility. Rather than create worlds, they point out what a strange world already exists. Women have always been skilled at feeding their families, and historians have often studied the work of rural women on farms and in their homes. However, the stories of women who worked as agricultural researchers, producers, marketers, educators, and community organizers have not been told until now. Taking readers into the rural hinterlands of the rapidly urbanizing societies of the United States, Canada, Great Britain, and the Netherlands, the essays in Women in Agriculture tell the stories of a cadre of professional women who acted to bridge the growing rift between those who grew food and those who only consumed it. 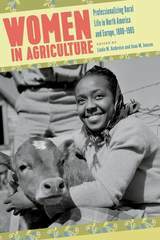 The contributors to Women in Agriculture examine how rural women’s expertise was disseminated and how it was received. 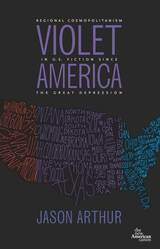 Through these essays, readers meet subversively lunching ladies in Ontario and African American home demonstration agents in Arkansas. The rural sociologist Emily Hoag made a place for women at the US Department of Agriculture as well as in agricultural research. Canadian rural reformer Madge Watt, British radio broadcaster Mabel Webb, and US ethnobotanists Mary Warren English and Frances Densmore developed new ways to share and preserve rural women’s knowledge. These and the other women profiled here updated and expanded rural women’s roles in shaping their communities and the broader society. Their stories broaden and complicate the history of agriculture in North America and Western Europe. The activist tradition in American literature has long testified to the power of words to change people and the power of people to change the world, yet in recent years many professional humanists have chosen to distract themselves with a postmodern fundamentalism of indeterminacy and instability rather than engage with social and political issues. 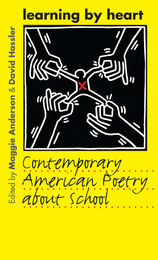 Throughout her bold and provocative call to action, Elizabeth Ammons argues that the responsibility now facing humanists is urgent: inside and outside academic settings, they need to revive the liberal arts as a progressive cultural force that offers workable ideas and inspiration in the real-world struggle to achieve social and environmental justice. 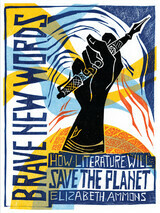 Brave New Words challenges present and future literary scholars and teachers to look beyond mere literary critique toward the concrete issue of social change and how to achieve it. Calling for a profound realignment of thought and spirit in the service of positive social change, Ammons argues for the continued importance of multiculturalism in the twenty-first century despite attacks on the concept from both right and left. Concentrating on activist U.S. writers—from ecocritics to feminists to those dedicated to exposing race and class biases, from Jim Wallis and Cornel West to Winona LaDuke and Paula Moya and many others—she calls for all humanists to link their work to the progressive literature of the last half century, to insist on activism in the service of positive change as part of their mission, and to teach the power of hope and action to their students. As Ammons clearly demonstrates, much of American literature was written to expose injustice and motivate readers to work for social transformation. She challenges today’s academic humanists to address the issues of hope and purpose by creating a practical activist pedagogy that gives students the knowledge to connect their theoretical learning to the outside world. By relying on the transformative power of literature and replacing nihilism and powerlessness with conviction and faith, the liberal arts can offer practical, useful inspiration to everyone seeking to create a better world. Buying his dream house several years ago on the forest's edge near Corvallis, Oregon, essayist Chris Anderson hoped to find the joys of rural living. Despite interminable Mr. Blandings experiences, he lived embowered by 12,000 acres of seemingly endless fir trees. But not for long. The McDonald-Dunn Forest was about to become the site of a disturbing research project. Little did Anderson know when he bought his house that, in addition to studying the ecological effects of clear-cutting, the researchers wanted to see how urban fringe dwellers might be affected too. 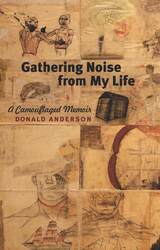 The shock of that harvest compelled the essays in this vibrant, graceful record of the relationship between the forest and Anderson's life on its boundary. Stephen Mann-- loyal son, war veteran, divorced father--is the subject of Donald Anderson's contemporary short-story cycle, Fire Road. In this award-winning collection, Mann negotiates life's punches through gain and loss, love and death, and the all too random dangers of being human. Woven between each personal story are poetic vignettes of isolated moments-- the headlines in a morning paper, a political murder--and the century's most violent tragedies--the bombing of Hiroshima, the firestorm at Dresden. Each vingette is a constant, powerful reminder of the human capacity to love and, ultimately, to destroy. A bruising view of one man's tumultuous journey through life, Fire Road explores the small and large crimes we all commit in the name of love and fear, despair and longing. The thirteen essays in When War Becomes Personal tell the enduring truths of battle, stripping away much of the romance, myth, and fantasy. Soldiers more than anyone know what they are capable of destroying; when they write about war, they are trying to preserve the world. Out of his long history as dance critic for the New York Times, Jack Anderson gives us this important, comprehensive history of one of the liveliest and most unpredictable of the arts. Treating modern dance as a self-renewing art, Anderson follows its changes over the decades and discusses the visionary choreographers who have devised new modes of movement. 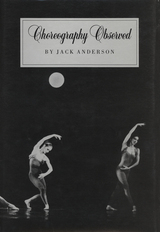 For over twenty years Jack Anderson has been writing about dance performances. 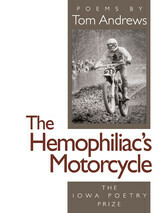 His essays and reviews have appeared in daily newspapers, specialist monthlies, and critical quarterlies. For the last ten years he has been a dance critic for the New York Times. In Choreography Observed, Jack Anderson has selected writings that focus most directly on choreographers and choreography in order to illuminate the delights and problems of dance and to reveal the nature of this nonverbal but intensely expressive art form. 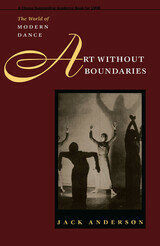 His essays and reviews deal with individual choreographers from Bournonville, Petipa, and Fokine to Balanchine, Paul Taylor, Meredith Monk, and Pina Bausch; individual works are also discussed in detail, such as Nijinsky's Afternoon of a Faun,Antony Tudor's Pillar of Fire, Alvin Ailey's Flowers, and Kei Takei's Light. Other pieces focus on the Baroque dance revival, contemporary multimedia dance theatre, choreography for men, the complex relationship between ballet and modern dance, and how—and how not—to revive the classics. No other book—especially no other selection from the work of a single critic—has dealt with choreography in such an original and focused way. Anderson brings his trained eye and wide experience in the arts to bear on dance while stressing the primacy of the choreographer as auteur. 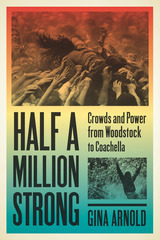 By refusing to get bogged down in highly technical terminology, he makes his insights available to a wide range of readers interested in expanding their understanding of this ever more popular art form. 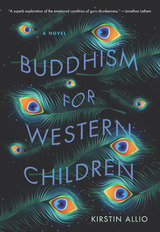 Anderson writes with wit and insight about those who find themselves inspired or obsessed with alternative ways of viewing life or getting through the day. Like the man who started with one light pole, then painted all the poles in his southside neighborhood. Or the founder of Cats-Are-Purrsons-Too, a nun who lives with sixty-seven cats. Or the philosopher who, with no financial success, still publishes a newsletter called "The Meaning of Life." After years of hunting down moments of everyday life that have drama and meaning, Anderson offers a book that has curious power, because all of its stories are true. Drawn from the best of Anderson's columns, City Watch introduces readers to an eclectic mix of social clubs, subcultures, and minor celebrities. From Foraging Friends, a group of penniless ecologists who forage for wild foods in a county forest preserve, to the annual Dumpster Diver fashion show, from the Oakton Elementary School chess team to a group that calls itself Some Chicago Anarchists, readers will discover the characters and events that define Chicago's local color. Popular culture remembers the settling of the Midwest as a golden era of unbounded opportunity, a time when every farm was a family farm and every farmer glowed with health. Pioneers in nineteenth-century Iowa, however, had to battle a formidable host of diseases during this golden era—malaria was endemic, smallpox and dysentery occurred in widespread epidemics, and typhoid, cholera, scarlet fever, and diphtheria had their seasons. Physicians in the growing Hawkeye State had little of the status and skill they command today, and herbalists, hydropaths, eclectics, Thomsonians, and homeopaths competed with purveyors of home remedies and patent medicines for their services. The druggists of pioneer Iowa were artisan producers who compounded and prescribed botanical and chemical medicines, sold a variety of other merchandise from perfumes to paints, and dispensed the secret concoctions known as patent medicines, guaranteed to cure any condition, however alarming. 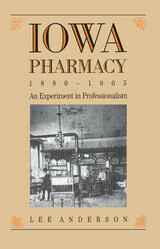 In this compelling study, Lee Anderson tells the story of these early pharmacists and their hard-fought quest to legitimize their profession. While he confronts the politics of professionalism and the purpose of the pharmaceutical science and education, he also illuminates the mutual role of physicians and pharmacists in frontier health care. With skill and humor, Anderson recreates an exciting time in midwestern history and provides insights into national issues of professionalism in medicine. His study will appeal to scholars in the history of medicine, pharmacy, and professionalism and to everyone interested in the history of the Midwest. The sixty-two short essays in After the Bell describe in many voices the emotional complexity and historical record of one experience most of us have in common: elementary and secondary school, from our first day all the way to graduation. Whether public or private, rural or urban, school is the first place we navigate on our own, learning how we stand apart, how we stand out, and where we do or don't fit in. The essays are by emerging as well as established fiction writers, poets, social commentators, and educational theorists. Told from the point of view of students, teachers, parents, and administrators through the multiple perspectives or race, class, physical and intellectual abilities, and sexually, the stories reveal how memories of our school days haunt and sustain us. Iowa's rock record is the product of more than three billion years of geological processes. The state endured multiple episodes of continental glaciation during the Pleistocene Ice Age, and the last glacier retreated from Iowa a mere (geologically speaking) twelve thousand years ago. Prior to that, dozens of seas came and went, leaving behind limestone beds with rich fossil records. Lush coal swamps, salty lagoons, briny basins, enormous alluvial plains, ancient rifts, and rugged Precambrian mountain belts all left their mark. In Iowa's Geological Past, Wayne Anderson gives us an up-to-date and well-informed account of the state's vast geological history from the Precambrian through the end of the Great Ice Age. Anderson takes us on a journey backward into time to explore Iowa's rock-and-sediment record. In the distant past, prehistoric Iowa was covered with shallow seas; coniferous forests flourished in areas beyond the continental glaciers; and a wide variety of animals existed, including mastodon, mammoth, musk ox, giant beaver, camel, and giant sloth. The presence of humans can be traced back to the Paleo-Indian interval, 9,500 to 7,500 years ago. 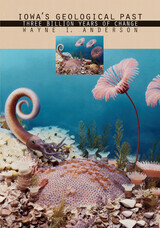 Iowa in Paleozoic time experienced numerous coastal plain and shallow marine environments. Early in the Precambrian, Iowa was part of ancient mountain belts in which granite and other rocks were formed well below the earth's surface. The hills and valleys of the Hawkeye State are not everlasting when viewed from the perspective of geologic time. Overall, Iowa's geologic column records an extraordinary transformation over more than three billion years. Wayne Anderson's profusely illustrated volume provides a comprehensive and accessible survey of the state's remarkable geological past. 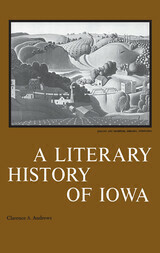 Originally published in 1972, A Literary History of Iowa, which features writers published in book form between 1856 and the late 1960s, returns to print. One of Iowa's native sons, Ellis Parker Butler, once said that in Iowa 12 dollars were spent for fertilizer each time a dollar was spent for literature. Many readers will be surprised to learn from this book the extent of Iowa's distinguished literary past---the many prizes and praise received by her authors. 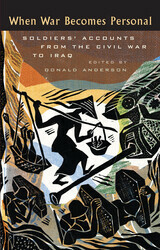 To those already familiar with Iowa's credits, A Literary History of Iowa will be a nostalgic and informative delight. During the 1920s and 1930s, Iowa had good claim to recognition as the literary capital of the country. Clarence Andrews says that as he grew up he knew a host of Iowa writers. "I also knew that Iowa was winning a diproportionate share of the Pulitzer Prizes---Hamlin Garland, Margaret Wilson, Susan Glaspell, Frank Luther Mott, "Ding" Darling, Clark Mollenhoff. It was winning its share or more of prizes offered by publishers---and its authors' books were being selected as Book-of-the-Month and Literary Guild books. I knew too about Carl Van Vechten as part of that avant-garde group of midwest exiles---including Fitzgerald, Anderson, and Hemingway. "A Literary History of Iowa looks at Iowans who knew and cared for the state---people who wrote poetry, plays, musical plays, novels, and short stories about Iowa subjects, Iowa ideas, Iowa people. 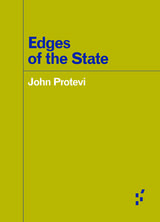 These writers often have dealt with such themes as the state's history, the rise of technology and its impact on the community, provincialism and exploitation, the problems of personal adjustment, and the family and the community. John T. Frederick, whose own books are paramount in Iowa's literary history, has pointed to Iowa's special contributions to the literature of rural life in saying that no other state can show its portrayal in "fiction so rich, so varied, and so generally sound as can Iowa." In this second wise and passionate book, Tom Andrews explores illness as a major theme, avoiding sentimentality without being merely confessional. He advances his considerable talent with great strength and forcefulness. 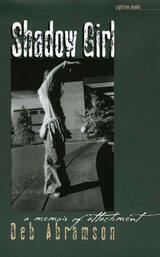 The poems ae buoyant with humor and mindful of larger mysteries even as they investigate very personal issues. There is an urgency that is compelling; the work is immersed in the private grief of the speaker without excluding the reader. There is real and hard-won wisdom and intelligence in the poems, offering genuine surprises and delight; their attractive humility is not a pose. The carefully crafted, meditative essays in On the Shoreline of Knowledge sometimes start from unlikely objects or thoughts, a pencil or some fragments of commonplace conversation, but they soon lead the reader to consider fundamental themes in human experience. The unexpected circumnavigation of the ordinary unerringly gets to the heart of the matter. 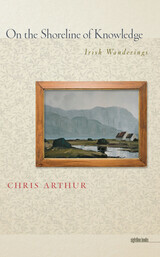 Bringing a diverse range of material into play, from fifteenth-century Japanese Zen Buddhism to how we look at paintings, and from the nature of a briefcase to the ancient nest-sites of gyrfalcons, Chris Arthur reveals the extraordinary dimensions woven invisibly into the ordinary things around us. Compared to Loren Eiseley, George Eliot, Seamus Heaney, Aldo Leopold, V. S. Naipaul, W. G. Sebald, W. B. Yeats, and other literary luminaries, he is a master essayist whose work has quietly been gathering an impressive cargo of critical acclaim. Arthur speaks with an Irish accent, rooting the book in his own unique vision of the world, but he addresses elemental issues of life and death, love and loss, that circle the world and entwine us all. Many dogmas regarding Greek theatre were established by researchers who lacked experience in the mounting of theatrical productions. In his wide-ranging and provocative study, Clifford Ashby, a theatre historian trained in the practical processes of play production as well as the methods of historical research, takes advantage of his understanding of technical elements to approach his ancient subject from a new perspective. In doing so he challenges many long-held views. 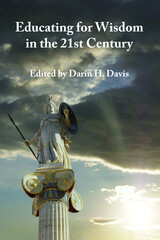 Archaeological and written sources relating to Greek classical theatre are diverse, scattered, and disconnected. Ashby's own (and memorable) fieldwork led him to more than one hundred theatre sites in Greece, southern Italy, Sicily, and Albania and as far into modern Turkey as Hellenic civilization had penetrated. From this extensive research, he draws a number of novel revisionist conclusions on the nature of classical theatre architecture and production. The original orchestra shape, for example, was a rectangle or trapezoid rather than a circle. The altar sat along the edge of the orchestra, not at its middle. The scene house was originally designed for a performance event that did not use an up center door. The crane and ekkyklema were simple devices, while the periaktoi probably did not exist before the Renaissance. Greek theatres were not built with attention to Vitruvius' injunction against a southern orientation and were probably sun-sited on the basis of seasonal touring. The Greeks arrived at the theatre around mid-morning, not in the cold light of dawn. Only the three-actor rule emerges from this eclectic examination somewhat intact, but with the division of roles reconsidered upon the basis of the actors' performance needs. Ashby also proposes methods that can be employed in future studies of Greek theatre. Final chapters examine the three-actor production of Ion, how one should not approach theatre history, and a shining example of how one should. 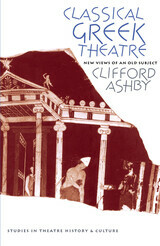 Ashby's lengthy hands-on training and his knowledge of theatre history provide a broad understanding of the ways that theatre has operated through the ages as well as an ability to extrapolate from production techniques of other times and places. 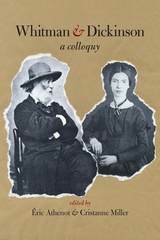 Now, nearly forty years after its original translation into English, Roger Asselineau's complete and magisterial biography of Walt Whitman will remind readers of the complex weave of traditions in Whitman scholarship. It is startling to recognize how much of our current understanding of Whitman was already articulated by Asselineau nearly half a century ago. Throughout its eight hundred pages, The Evolution of Walt Whitman speaks with authority on a vast range of topics that define both Whitman the man and Whitman the mythical personage. Remarkably, most of these discussions remain fresh and relevant, and that is in part because they have been so influential. In particular, The Evolution of Walt Whitman inaugurated the study of Leaves of Grass as a lifelong work in progress, and it marked the end of the habit of talking about Leaves as if it were a single unified book. 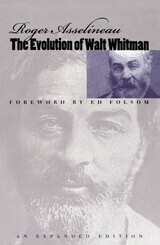 Asselineau saw Whitman's poetry “not as a body of static data but as a constantly changing continuum whose evolution must be carefully observed.” Throughout Evolution, Asselineau placed himself in the role of the observer, analyzing Whitman's development with a kind of scientific detachment. But behind this objective persona burned the soul of a risk taker who was willing to rewrite Whitman studies by bravely proposing what was then a controversial biographical source for Whitman's art—his homosexual desires. The Evolution of Walt Whitman is a reminder that extraordinary works of criticism never exist in and of themselves. In this expanded edition, Roger Asselineau has provided a new essay summarizing his own continuing journey with Whitman. 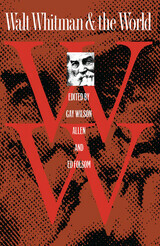 A foreword by Ed Folsom, editor of the Walt Whitman Quarterly, regards Evolution as the genesis of contemporary Whitman studies. This new report, A Nation Empowered: Evidence Trumps the Excuses Holding Back America's Brightest Students builds on the momentum of the 2004 report, A Nation Deceived: How Schools Hold Back America's Brightest Students. A Nation Deceived initiated a critical dialogue about academic acceleration, an under-used intervention. A Nation Deceived exposed to the nation the inconsistencies between research and practice and brought acceleration to prominence in the field. 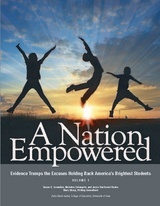 Volume 1 and 2 of A Nation Empowered: Evidence Trumps the Excuses Holding Back America's Brightest Students equips students, families, and educators with facts to refute biased excuses. A Nation Empowered shifts the impetus from conversation to action. Empowerement galvanizes determination with evidence. 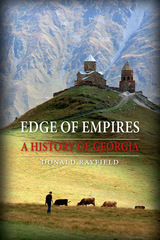 Volume 1 portrays the determination of students, educators, and parents to strive for excellence. Volume 2 reveals the evidence that trumps the excuses that hold bright students back. Why do Americans read contemporary fiction? This question seems simple, but is it? Do Americans read for the purpose of aesthetic appreciation? To satisfy their own insatiable intellectual curiosities? While other forms of media have come to monopolize consumers’ leisure time, in the past two decades book clubs have proliferated, Amazon has sponsored thriving online discussions, Oprah Winfrey has inspired millions of viewers to read both contemporary works and classics, and novels have retained their devoted following within middlebrow communities. In Reading as Therapy, Timothy Aubry argues that contemporary fiction serves primarily as a therapeutic tool for lonely, dissatisfied middle-class American readers, one that validates their own private dysfunctions while supporting elusive communities of strangers unified by shared feelings. 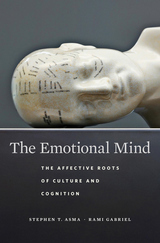 Aubry persuasively makes the case that contemporary literature’s persistent appeal depends upon its capacity to perform a therapeutic function. Aubry traces the growth and proliferation of psychological concepts focused on the subjective interior within mainstream, middle-class society and the impact this has had on contemporary fiction. The prevailing tendency among academic critics has been to decry the personal emphasis of contemporary fiction as complicit with the rise of a narcissistic culture, the ascendency of liberal individualism, and the breakdown of public life. 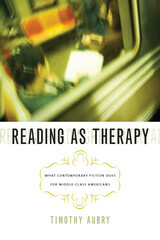 Reading as Therapy, by contrast, underscores the varied ideological effects that therapeutic culture can foster. 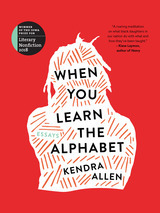 To uncover the many unpredictable ways in which contemporary literature answers the psychological needs of its readers, Aubry considers several different venues of reader-response—including Oprah’s Book Club and Amazon customer reviews—the promotional strategies of publishing houses, and a variety of contemporary texts, ranging from Khaled Hosseini’s The Kite Runner to Anita Shreve’s The Pilot’s Wife to David Foster Wallace’s Infinite Jest. 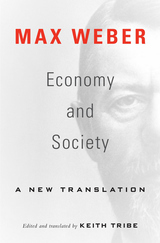 He concludes that, in the face of an atomistic social landscape, contemporary fiction gives readers a therapeutic vocabulary that both reinforces the private sphere and creates surprising forms of sympathy and solidarity among strangers.